Projects that use conductive thread to connect electronic components together directly on fabric. Soft, flexible, and sometimes wearable. Create an interactive Christmas stocking that lights up and plays sound effects in response to gestures. Add some sparkle to a Christmas stocking with the pre-programmed LilyTiny board and conductive thread. Use the pre-programmed LilyMini ProtoSnap to make an interactive pennant that reacts to ambient light. Tips for creating your own unique pennant with a few different types of LilyPad components. Combine a silk flower with a built-in RGB LED and some switches to create a light-up accessory. Craft a stuffed monster with LilyPad LilyTiny. Based on an activity created at MIT's High-Low Tech. 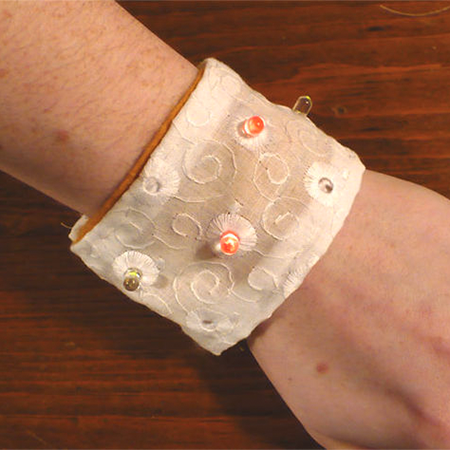 Learn to sew with conductive thread to make a cool LED cuff to wear out and about. 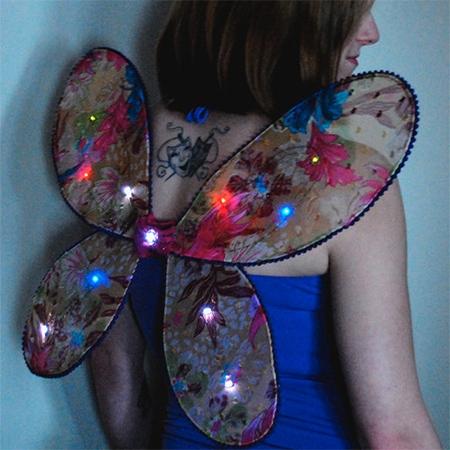 Create light patterns on your fairy wings using a microcontroller called Schemer by Aniomagic. Projects that reuse, hack, and combine crafting techniques with electronic parts. Enhance a Christmas stocking by adding fairy lights. 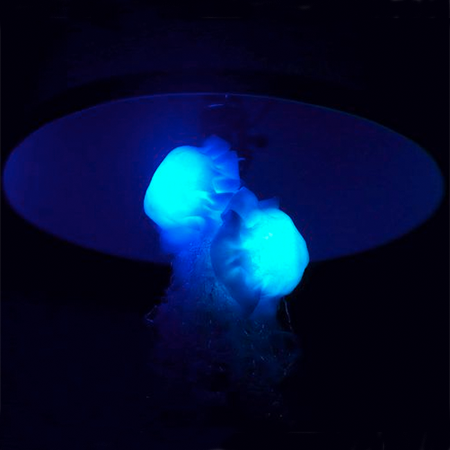 Make a jellyfish shaped casing for LED Throwies that you can stick to any metal surface. Enhance a Christmas stocking by adding EL wire. This sock puppet makes sound when you open its mouth. It is a quick and easy project to use up old musical cards instead of throwing them out. Accessories, add-ons, and outfits that use electronics to light-up, interact with the world, and make a statement. Quick and easy glasses for a Lady GaGa costume. Made with 2 digital picture frame keychains on a slideshow setting to replicate the effect seen in her performances. 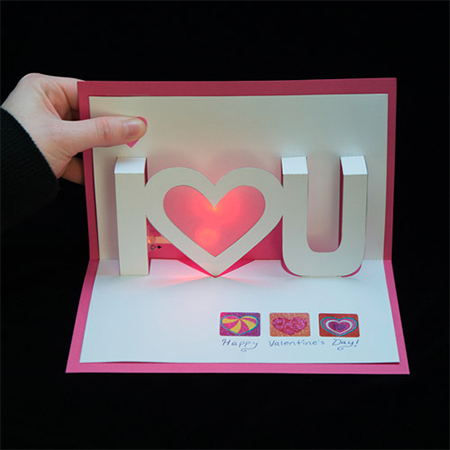 Create electronic projects on paper! Learn how to paint, draw, and tape circuits with conductive materials and LEDs. This quick craft project shows you how to create a circuit using copper tape to light up an LED. 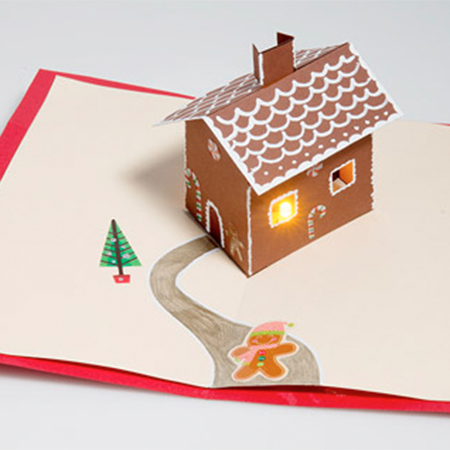 Craft a glowing card for the holiday season with paper circuits - no soldering required! Resources to help with design, finishing, and construction of your projects. How to protect your conductive thread and components in a project. Getting started guides, hookup tips, and overviews of electronic products. 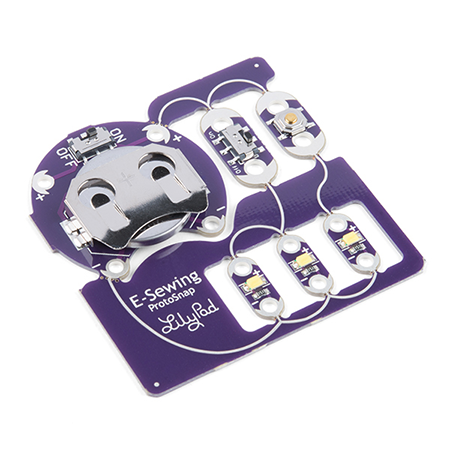 Learn how to hook up the LilyPad Tri-Color LED and use a common cathode RGB LED in e-textile projects. An introduction to the LilyPad ecosystem - a set of sewable electronic pieces designed to help you build e-textile projects. 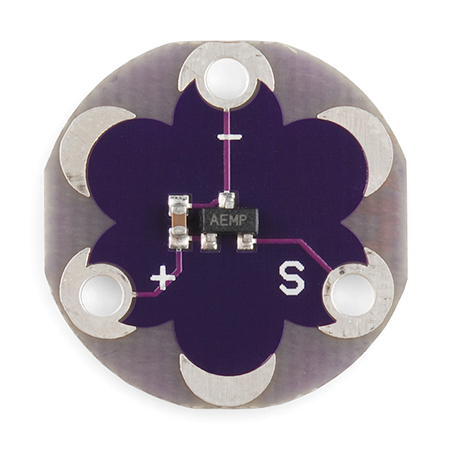 Learn about the LilyPad ProtoSnap Plus - a sewable electronics prototyping board. Add changing colors to your projects using LilyPad Pixels. How to use the LilyPad Light Sensor with some example code. 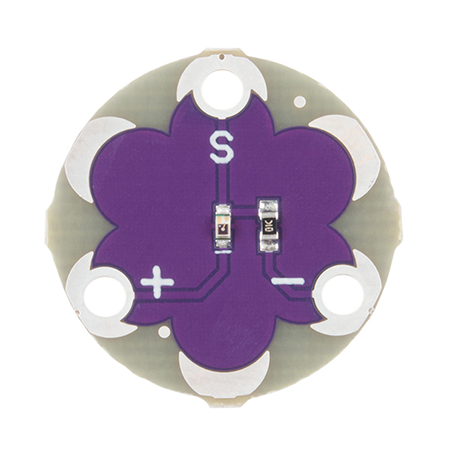 Learn the features of each LilyPad Arduino in the LilyPad product line. How to calculate how many LEDs your project can power.